This year Lune participated in the Tour Facilitair 2018, which was held in Drenthe. The Tour Facilitair is an annual cycling event for professionals from the facilities sector. Drentea, Heyday and Albron have set up a great event, with almost 150 facilitary cycling fanatics. Lune also actively participated, not on the bike but in the Lune-Drentea race car. Around noon, it started with a breakfast, of course with the necessary concentrate for the participants of the Tour Facility. 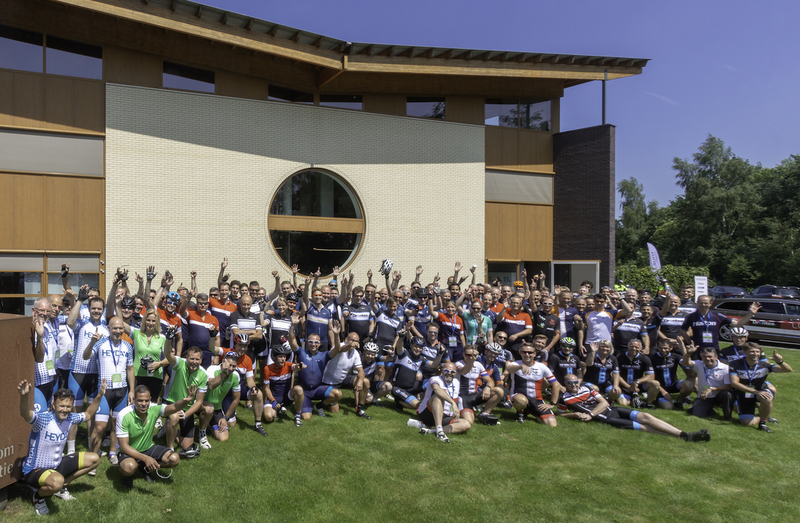 Subsequently everyone was welcomed and the participants could prepare for the 80 kilometer long tour through Drenthe, where it was incidentally beautiful weather. At that time it was time to start the Lune-Drentea race car to ensure that the riders could safely drive their course. The course went criss-cross through Drenthe and had a stopover in Dalen near Centerparcs de Huttenheugte, where a visit was made to Albron. After that, the riders were able to continue their course and the first riders arrived at Drentea around 4:30 PM. After that, all riders and stakeholders were rewarded with a snack and a juice and the ride could be analyzed, but it was especially pleasantly chatted and enjoyed in the radiant sun. The waste that followed was naturally collected through our waste systems.